But that changed yesterday with the arrival of a pair of CompresSport R2 Calf guards, courtesy of UK company director Tim Williams. CompresSport Calf and Quad supports are designed to compress the area around the calf, reducing the accumulation of toxins especially on long runs. this allows better movement of oxygenated blood around the body, thus bringing a better muscle recovery during exercise. The compression also reduces muscle movement during running, which makes the muscle work harder with reduced risk of injury. That's the technical aspects, but on a basic running level, how did they perform??? In a word - Superbly! I had run the Frinton ½ on Sunday last week, quite hard (4 mins outside PB, in rotten weather) and so still had heavy legs yesterday when i ventured outside in the R2 guards. However within a few minutes the compression effects started to work and i could feel the heaviness in my legs lifting and feeling fresher and almost adding a bounce to my stride with each step. I found i could push harder that i usually would, with out feeling any strain, and the 12 miler went extremely well. 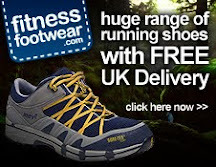 I have used other similar products, but these are far superior to they others in terms of comfort and quality, and will definitely be taking these on the Grand Union Canal Race in 2 weeks time. Can t wait to see what other clothing CompresSport create in the future, but if it is all as good as these then Skins and 2XU will have some serious competition, and i for one will be visiting their eStore for some more. 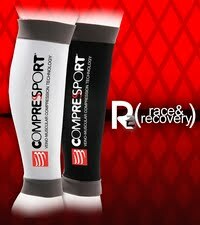 The guards can be bought via the following link, http://estore.compressport.uk.com/epages/288898.sf, so make your running easier and get compressed. Til next time - Safe Running!! !